December must be one of my favourite months, mostly because you get this vibe of Christmas cheer everywhere. What is also great about December is that people are more likely to be less strict with their diets and have a month when to actually enjoy themselves in a culinary aspect. Being a man nothing makes me happier than a nice hearty burger on my plate. And this is a Christmas inspired one that packs inside all the favourite and for some of you less favourite elements of your Christmas Day Meal. 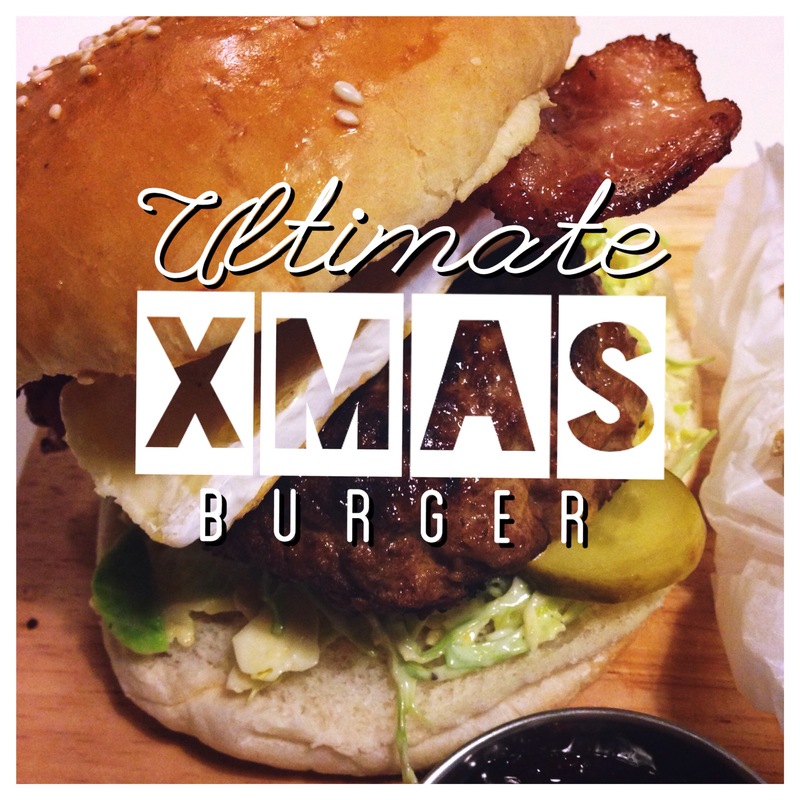 You have your beef patty cramped with Christmas flavours. There is a salad made of ‘those little balls of goodness’ as my friend used to call it and here I mean Brussel sprouts. 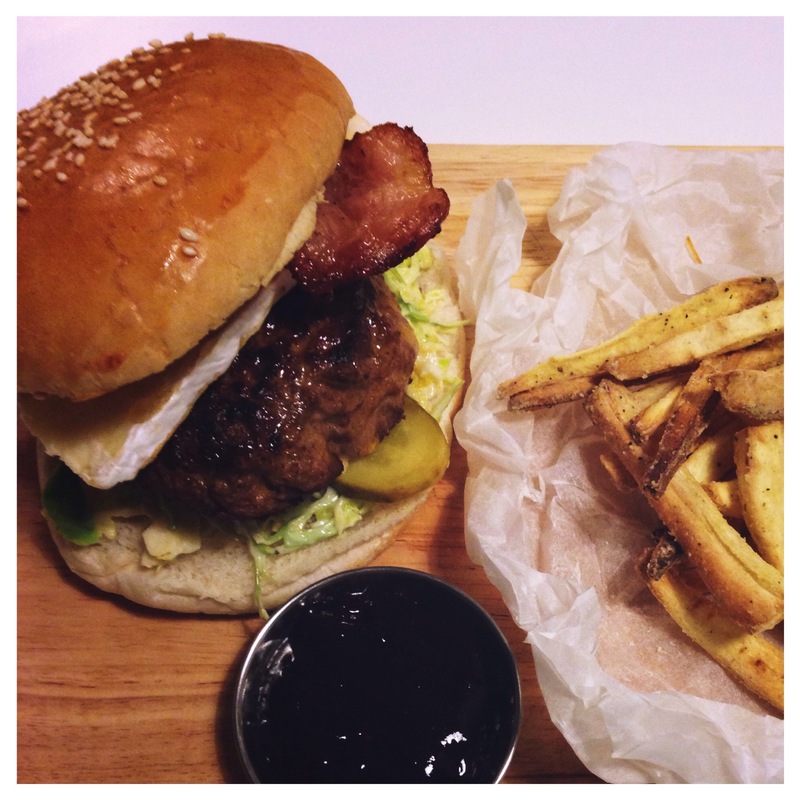 We also got bacon, brie and cranberry all locked in a sesame bun and let’s not forget the little side of baked parsnip fries. I was thinking for quite a while what spices I could add to the burger to make it at least a little festive and then I remembered my grandmothers pate with nutmeg. Nutmeg is one of those spices that you can make sweet things as well as savoury. It goes very well with meat. So the beef patty is flavoured with nutmeg, black and green pepper and smokey paprika. 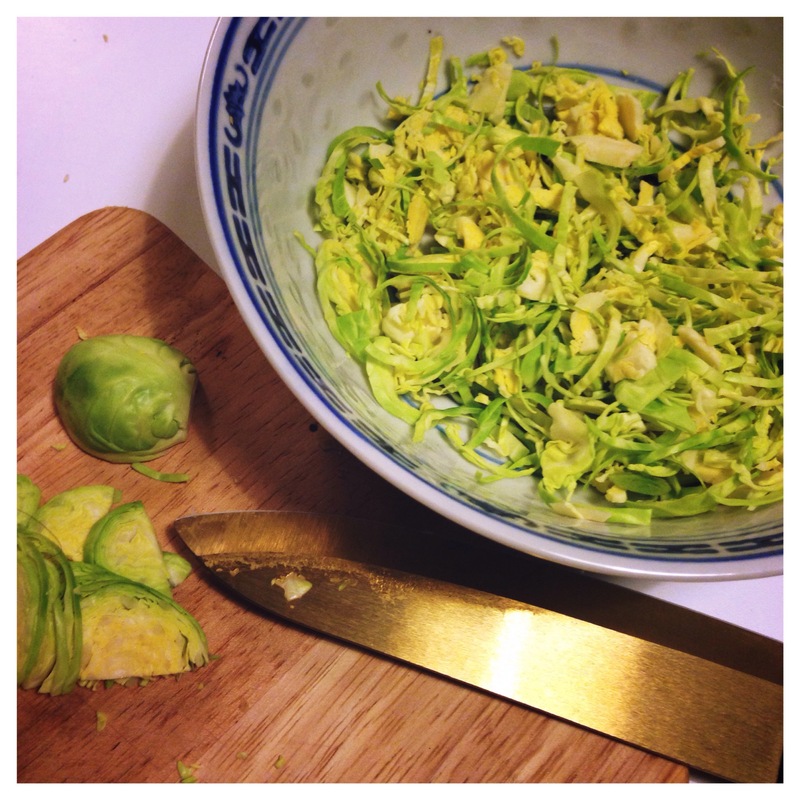 The controversial part of this recipe are Brussel sprouts. They are shredded and mixed with low fat Mayo, apple cider vinegar and salt and pepper. It makes a very nice salad and even the sprout haters should give it a go as raw Brussel sprouts haven’t got anything that people always complain about and here I mean bitter aftertaste and the smell. So don’t dismiss it yet. Roasted parsnips must be my ultimate favourite part of Christmas dinner. I decided to turn them into baked chips and it worked great. 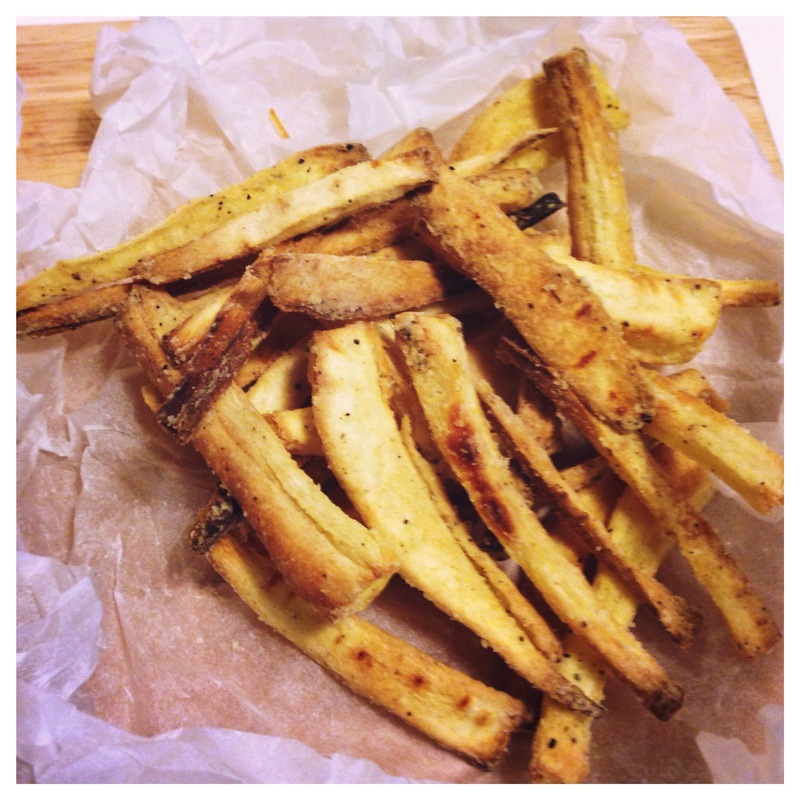 Sweetness of parsnip went perfectly well together with spicy and crunchy coating. 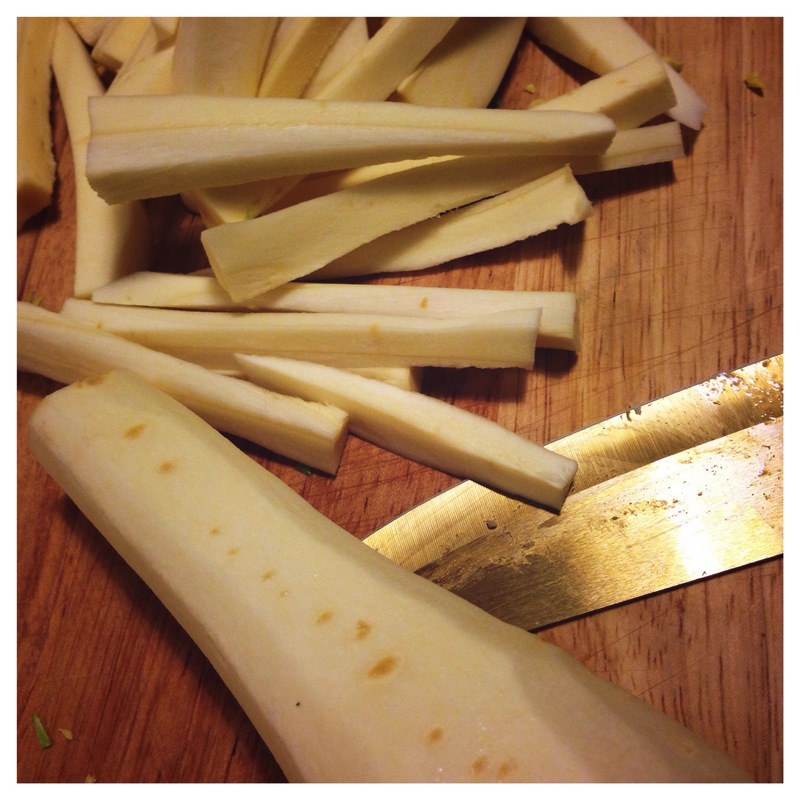 All you have to do is change carrot sticks to parsnips that you will need to cut yourself… Sorry! 1. 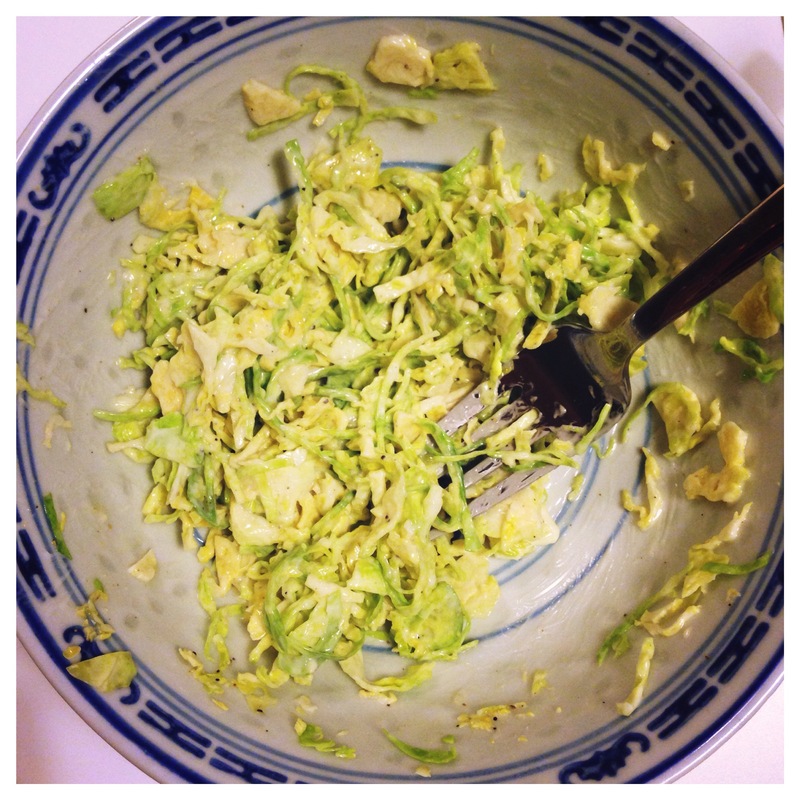 Thinly shred the Brussel sprouts and mix with mayo, vinegar and salt and pepper. 2. 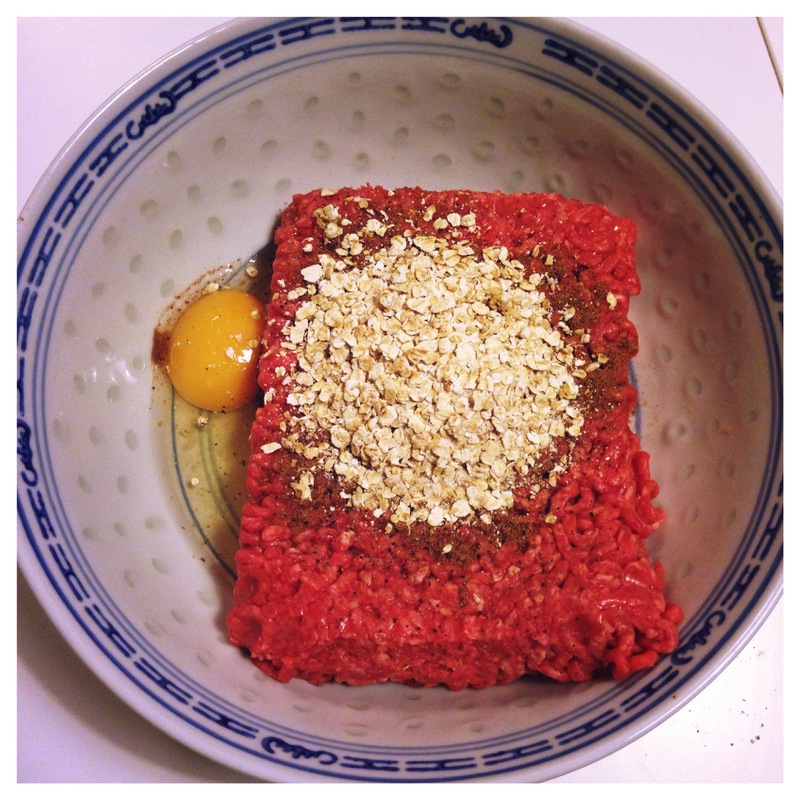 Put mince, egg, oats and all the spices in a larger bowl and mix together by hand until well combined then form the burgers using a metal ring or by hand. Refrigerate for 20 minutes. Than cook on a griddle pan and finish in the oven. 3. Cook bacon until crispy. 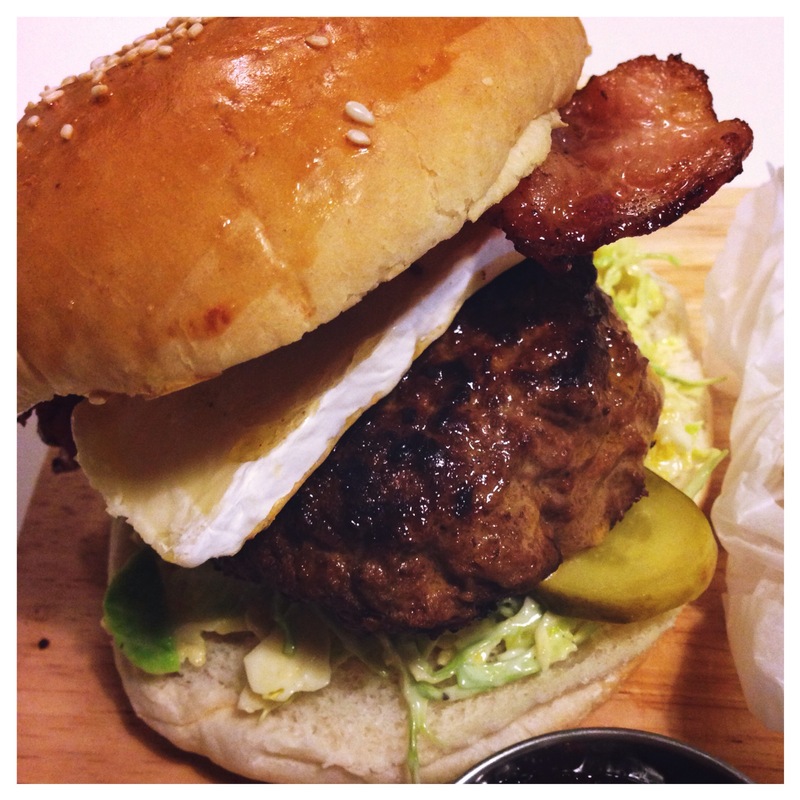 Pile some Brussel sprout salad, sliced gherkin, beef patty, brie, bacon and cranberry sauce in between toasted burger bun. Damn!!! Tha looks just great!!! My mouth can´t take it anymore… must have now! This looks phenomenal! Love what you did with the sprout slaw. 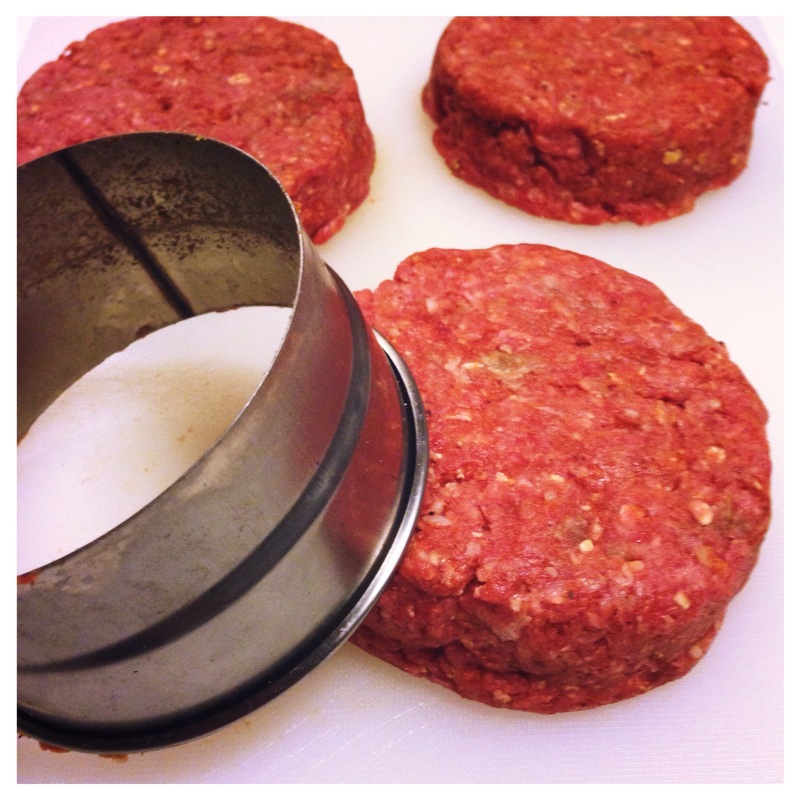 Burgers, being my favorite food this is an absolute must try! !